Do you have stubborn fat despite diet and exercise? The proven technology of fat freezing works by cooling fat cells in the targeted areas triggering their natural death. The results are lasting as the frozen fat cells are now gone! Want to find out more on what fat freezing can do for you? Simply email us at skincare@eha.com.sg to find out more! The latest CoolSculpting treatment is here! CoolSculpting is a technique introduced by ZELTIQ, a market leader in non-invasive fat removal. The procedure involves using suction to isolate an area of fat, and then applying cryolipolysis – controlled cooling, to cause the fat cells to self-destruct. Pretty cool indeed! This revolutionary technique has garnered close to a million patrons worldwide, but the pioneers at ZELTIQ have not rested on their laurels, and have instead, unveiled the next generation in Cryolipolysis : The CoolAdvantage. Its faster, more comfortable, and even more efficient than its predecessor. 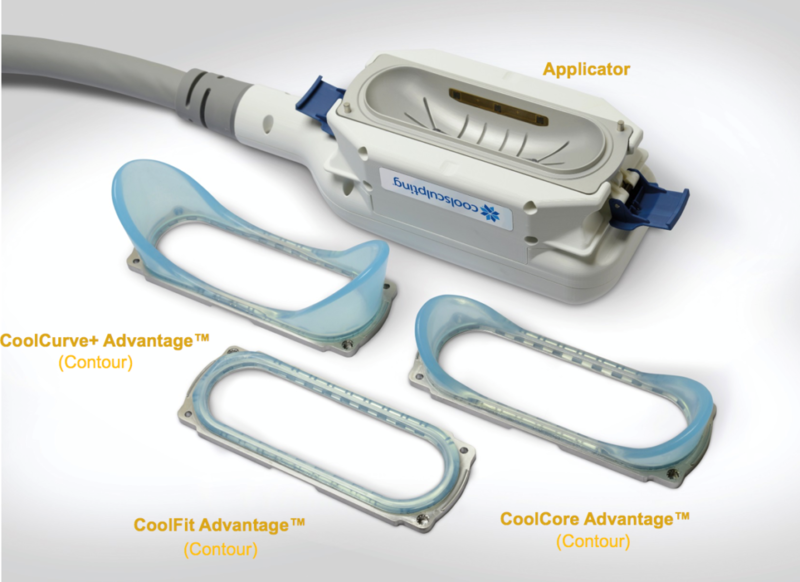 The new CoolAdvantage applicator (pictured above) helps to cut treatment time dramatically, by up to nearly 50%! This is achieved through a precisely engineered cup design that minimises any loss of coldness, on top of an applicator that is able to reach lower temperatures of -11 degrees even faster. A study conducted by Suzanna L. Kilmer, MD, for ASLMS Scientific Presentations found that on a study population of 19 subjects for both genders, average treatment time fell from an hour to just 35 minutes! What’s more, this test was conducted on randomised left and right flank treatments, to more accurately showcase the undeniable performance improvement of CoolAdvantage. Another benefit of the new and deftly contoured application mechanics is a notable reduction in discomfort during the procedure. In a similar study environment, participants were provided with a pain scale, and asked to rate the old CoolSculpting process against that of the new CoolAdvantage. The patient consensus was a staggering 45% increase in comfort during the procedure! CoolAdvantage also leaves significantly less surface bruising once the procedure is complete – another advantage of a faster and more concentrated treatment that places less stress on the patient’s skin and body. The applicator’s larger surface area means that a larger area can be treated, in a shorter time and with less discomfort, CoolAdvantage reaches more than 10% more surface area than the previous CoolCore technology. This means more results within a single session, and greater satisfaction for the patient. CoolAdvantage is ideal for treating areas of the body more prone to accumulating unwanted pockets of fat like the flanks, thighs, arms, and stomach. The new applicator’s wide range of differently contoured heads allows the device to effectively treat a variety of different clients almost anywhere necessary. 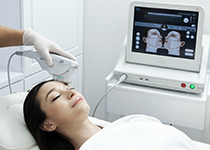 For more information on the ground-breaking CoolAdvantage technology as published by Dr Kilmer, you can view her full article here, or simply email us at skincare@eha.com.sg to find out more!